I could say even up until a decade ago only local folks in Nigeria actually made use of shea butter with the serious hope of achieving therapeutic solutions. Those who made use of shea butter in the urban centres then only did so out of economic reasons except for a few ardent believers in so called native medicine. This is because shea butter as you may wish to know is actually native to Africa, and Nigeria; the economy is still developing, and cosmetologists and manufacturers had yet to come to grasp with the full potentials of this natural plant product. And so, shea butter remained very cheap and not highly valued then. But reasonably, shea butter is still cheap in Nigeria today, but the awareness concerning the many medicinal benefits of shea butter has recently soared. 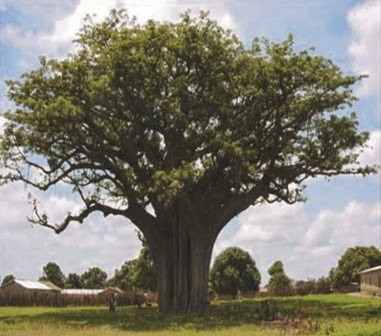 Botanically known as butyrospermum parkii, shea butter is now almost widely used both in the rural and urban city centres. It naturally has a creamy or ivory white colour appearance with a mild nutty aroma; it comes as a fatty substance that is expelled from the nut of the Karite tree. Thus shea butter is used mostly in its raw state to achieve a great number of therapeutic as well as cosmetic purposes by a growing number of people among the populace. Traditionally shea butter has been used for centuries in Africa especially for healing and cosmetic purposes even as far back as in the days of Cleopatra, the beautiful and charismatic queen of Egypt, around (69-30 BC). It has been very useful as a balm for the treatment of anything pertaining to bone injuries such as – fractures, sprains, dislocation as well as swellings, stings and boils. Today in addition to all of these, people have also found local uses for this soothing, non-abrasive native balm. It is now used freely as body and hair cream especially by the ladies. Cosmetologists in recent years having discovered the inherent advantages in shea butter have begun to incorporate it in the manufacture of soaps, body creams, and the rest. Shea butter contains oleic acid and stearic acid, some measure of saturated fats, polyunsaturated fats as well as some monounsaturated fats. This product is today widely used in so many other preparations including - lotions, moisturisers, cocoa butter creams, essential oils, aromatherapy preparations, and massage oils, etc. And so I will advise for you to get the raw shea butter which has all its anti-inflammatory, anti-ageing, healing, and moisturising properties fully intact. As an anti-ageing balm, shea butter has been used to improve skin appearance: the skin radiates with a certain glow and sheen; the skin becomes supple and wrinkles fade away gradually over a period of time while restoring skin elasticity. 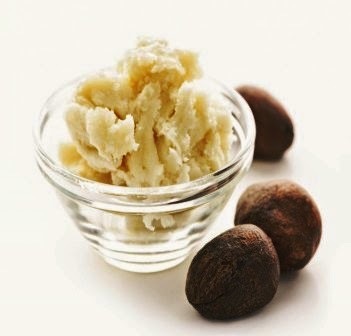 Shea butter naturally is easily absorbed by the skin; it is also gentle and pliable and nourishing to the skin. It also protects your skin from the harmful damage that you can get from overexposure to the sun’s ultra-violet rays especially in the tropics. Thus raw shea butter instead of the refined product is best for you if you want to benefit fully from all of its natural goodness. It is extracted either mechanically or manually without any chemical inputs or processing. I tell you this because believe it or not, refined shea butter has gone through chemical processes - usually with the colourless chemical solvent called hexane. Through the process which involves heating, scent removal and discolouration by a bleaching process, a lot of the vital ingredients and potency are lost. Raw shea butter contains trace elements, enormous amounts of Vitamins A and E; it was, and is still being used as a powerful moisturising preparation, and highly valued for its anti-ageing and anti-inflammatory properties.